Joan has another hand embroidery block of the month for you, using any of Kathy Schmitz's collection of My Favorite Little Things, such as My Little Home, My Little Year, My Little Stitches or My Little Garden. Or do them all to make a bigger quilt, as these are all very quick embroideries! 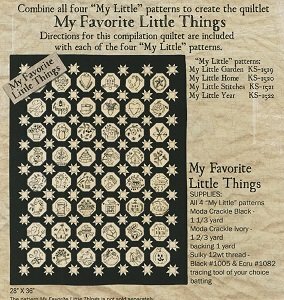 Click here for the My Favorite Little Things BOM supply sheet.